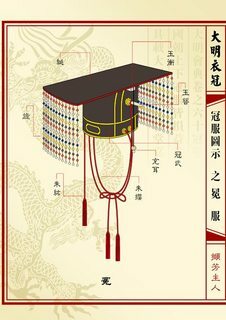 Hanging from the front and back of the emperor’s hat are twelve strings of beads. They’re called “yù zǎo” in Chinese—pendants of jade beads. “Yù" or jade symbolizes upright character, while “zǎo” refers to the silk strings that are used to string the jade beads together, which reflect a clear and pure mind. The twelve pendants at the front swing with the tiniest movement, and prompt the Emperor to maintain a straight gaze and proper posture. They also serve as a reminder to the Emperor to only make decisions with upright thoughts, and perceive things through a clear and pure mind. 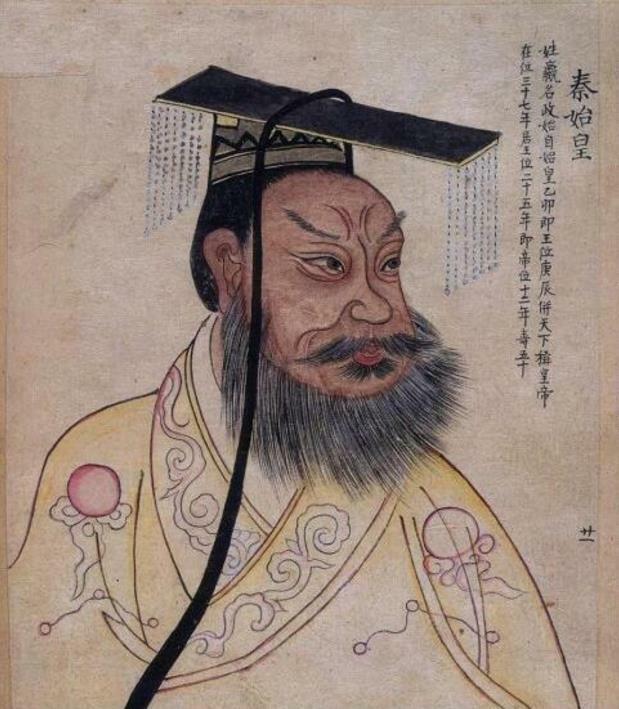 Did the historical emperors of China ever wear such a hat? If so, how often? You're describing the mian (冕), a style of classical Chinese head dress that was indeed worn by successive Emperors of China. 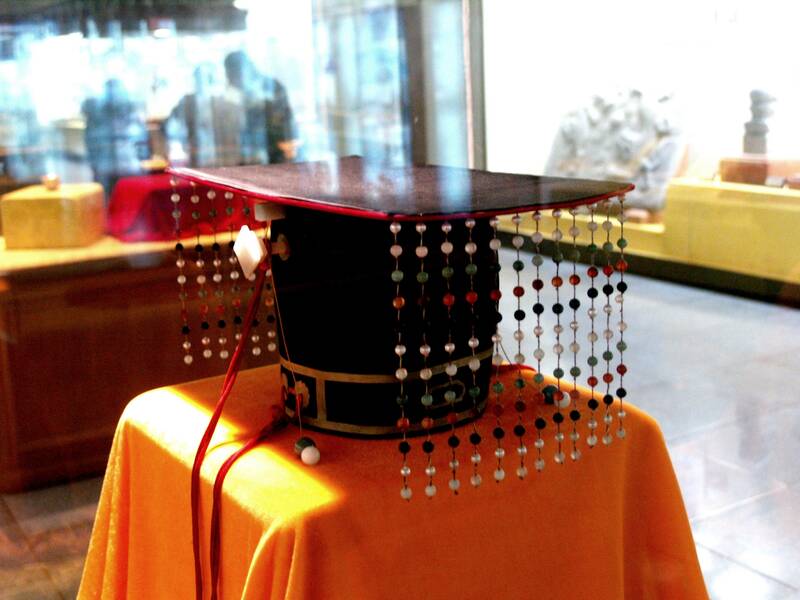 The basic design consisted of a hat secured to the head with a red string (纓), topped by a rectangular board (綖), with threads of gems (旒) attached to its front and back edges, and two "ear plugs" (充耳) hanging off the two sides. Click to enlarge: Components of a mian design. 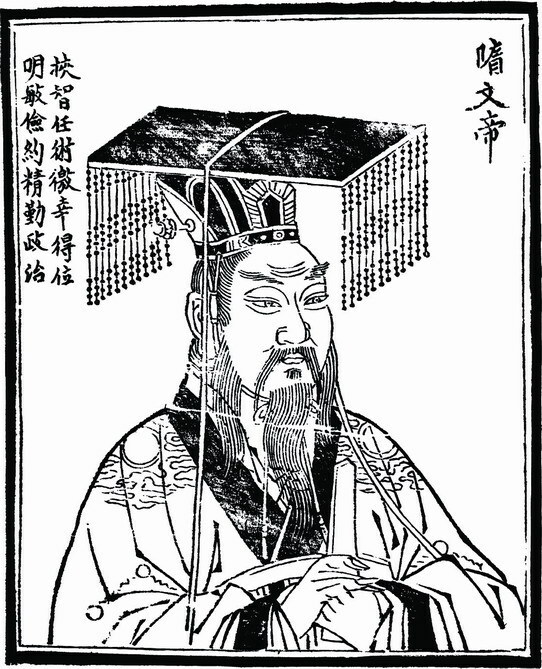 The Son of Heaven's mian has 12 liu; the princes 9, the high nobility 7, the low nobility 5, and shi 3. Chinese scholars in the late antiquity believed this meant 12 gem threads on each of the front and back edges. 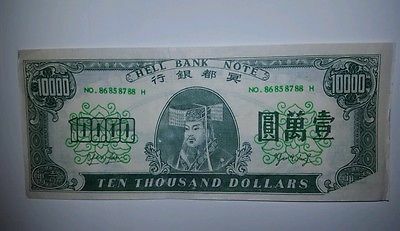 Modern scholars however have reasoned that only the front edge had these threads. Either way, after the unification of China under Qin, designs of the royal crown settled on 12 threads on both ends of the top board. 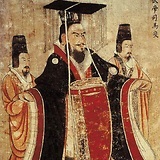 For example, in the 7th century Painting of Emperors of Past Dynasties, seven of the 13 emperors depicted were shown in this style. Han dynasty regulations, however, stipulated that court officials only have the gem threads in the front, not the back. 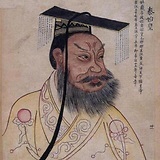 The mian remained standard until around the Tang dynasty, but its cumbersomeness led it to be increasingly reserved for only the most formal occasions, mainly the highest ceremonial rites (e.g. honouring royal ancestors or making offerings to the heaven and the earth) and coronations, as well as part of the annual new years ceremonies at court. Left: Imperial mian from the Mausoleum of Ming's Wanli Emperor. 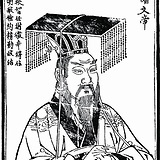 Right: Royal mian of Ming's King Lu. Note the difference in threads. 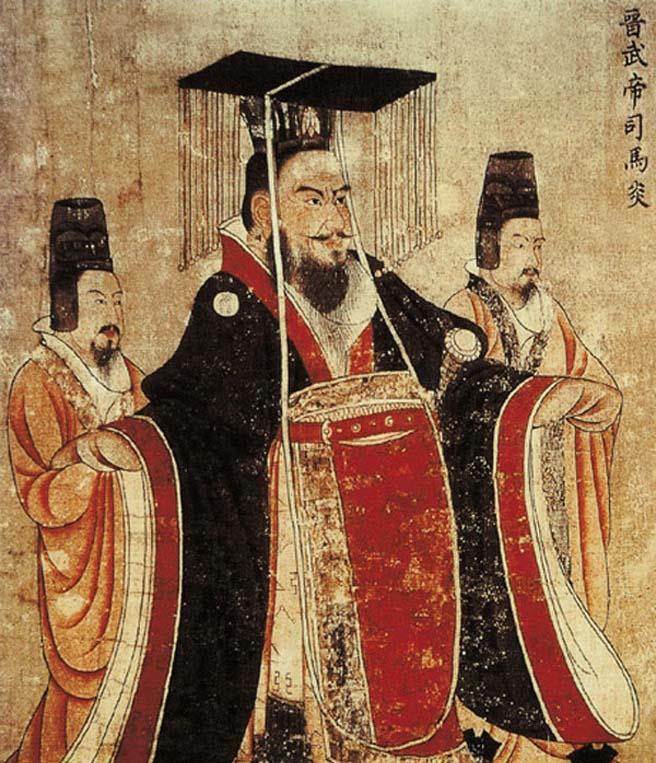 Use of the mian was abolished in 1652, shortly after the Manchurian conquest of China, when it was replaced by traditional Manchu clothing at court. 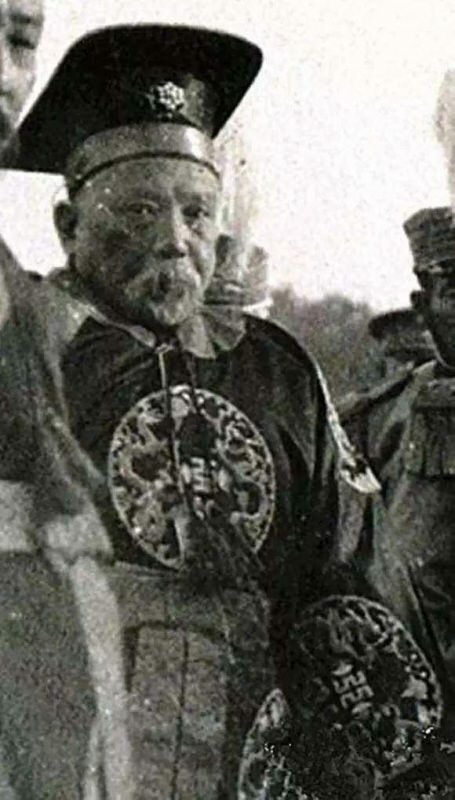 However, after the founding of the Republic, it (or a budget variation thereof) was briefly revived as part of China's official ceremonial dress. Not the answer you're looking for? Browse other questions tagged china clothing ancient-china royalty or ask your own question. 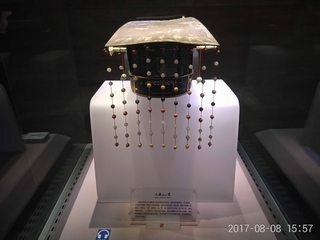 How historical are early Chinese (Shang dynasty and earlier) dynastic records? What did the Crusaders really wear? Did Belgian detectives wear special shoes in 1939? What kind of apparel did Carthaginians wear? Why did emperors of India and China have so many mistresses?